This year has seen a fantastic glut of fruit – well from most of our plants. 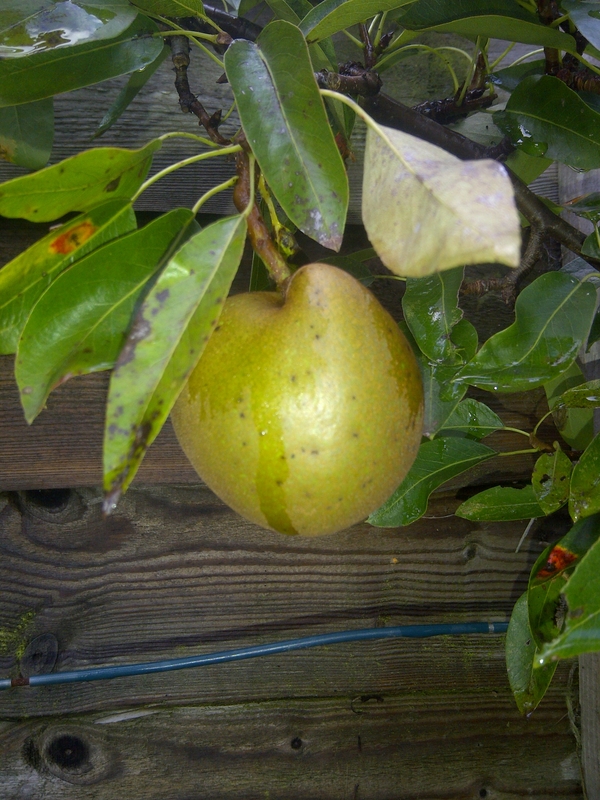 There are two particular trees in our garden that have not been too fruitful this year. The second is a russet pear which I am growing as an espalier against a south facing fence. Last year we had amazing blossom but a late frost meant that we lost almost all the fruit. This year we again had a fantastic blossom and I made sure that I covered it with a fleece when there was any threat of frost. Unfortunately, although we got loads of tiny pears they all dropped off suggesting that we had poor pollination this year. I have one pear! 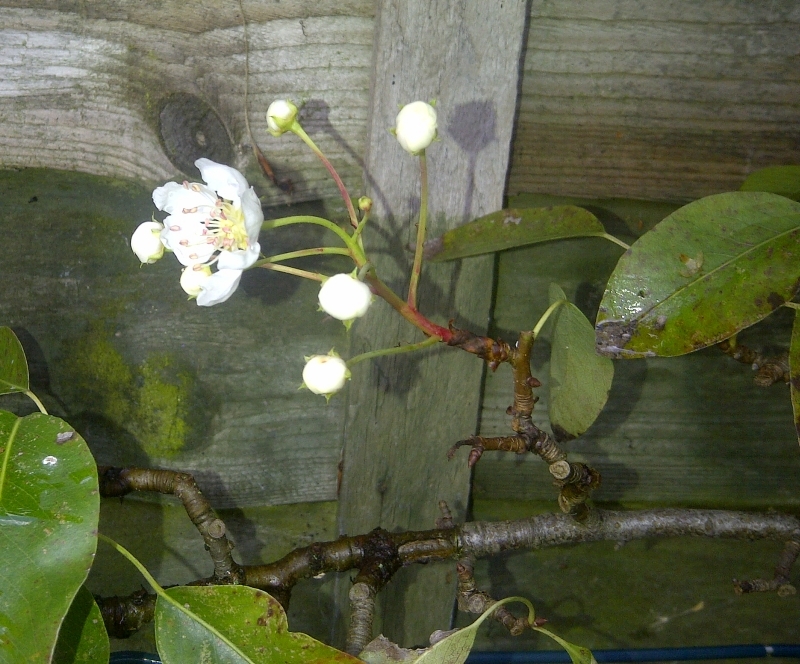 The really bizarre thing is that the tree has started to blossom again, in October!